We've had many happenings around here lately, which is one reason the blogging hasn't been happening as much. First of all, my oldest graduated from college! Yes, we are proud parents of a UNC tarheel graduate. As you can tell from the below photo, he graduated on crutches. With only a month left of college to go, Will tore his Achilles tendon playing basketball. He had to undergo surgery a week later and then try to hobble to classes the following weeks. He is still finishing up some classes this summer to graduate with a double major, but his plans to leave in June with a special branch of the military have been put on hold. Not sure what is next for him, but we know God is in control. Next my oldest daughter returned from college for 3 weeks, and is now in Colorado working at a Christian family dude ranch. It is a beautiful place and we are so thankful that she got hired. We visited the ranch as a family for a week 5 years ago. It is such an awesome place and this is a once in a lifetime opportunity for her, but she will be there all summer! Yes, 10 weeks of her being gone! I know she's been away at college all year, but that has only been a 1 hour drive from home and she visited every few weeks. This is over half a continent away and needless to say, I had a very hard time saying good-bye. We are over the shock and so happy for her, but summer will be vastly different with her gone. 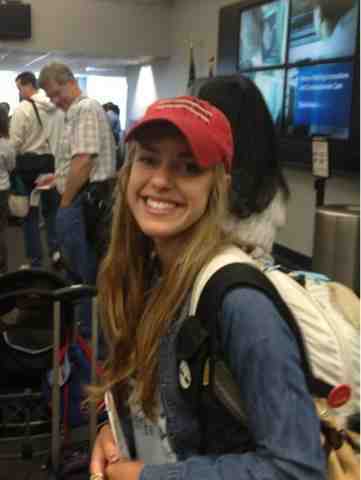 Here she is the airport leaving on her journey.......sniff, sniff. And then my second son also came home from college for 2 weeks, and is now back in Tennessee doing an internship at a church. He will be back in a month or so and doesn't seem so far away. We are so thankful he got this opportunity and know he will grow and learn much. It was hard to say goodbye to him as well. You know even with 7 children still here, the house seems kind of quiet. Like I always tell y'all.....they grow-up in a blink of an eye, cherish the time they are home with you. Thanks Trudy for letting me know about this. Congratulations on your oldest 3 children's recent accomplishments! 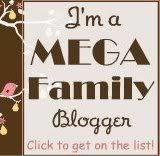 I love your blog and find it encouraging and refreshing as a mom. I am due with baby number 4 early July. A sweet elderly couple commented to my husband and I as we were leaving a restaurant that these will be the best years of our life. My oldest is almost 8, and I am learning that with each passing year. I admire you as a Christian mother and wife and want to thank you for sharing your life with us!